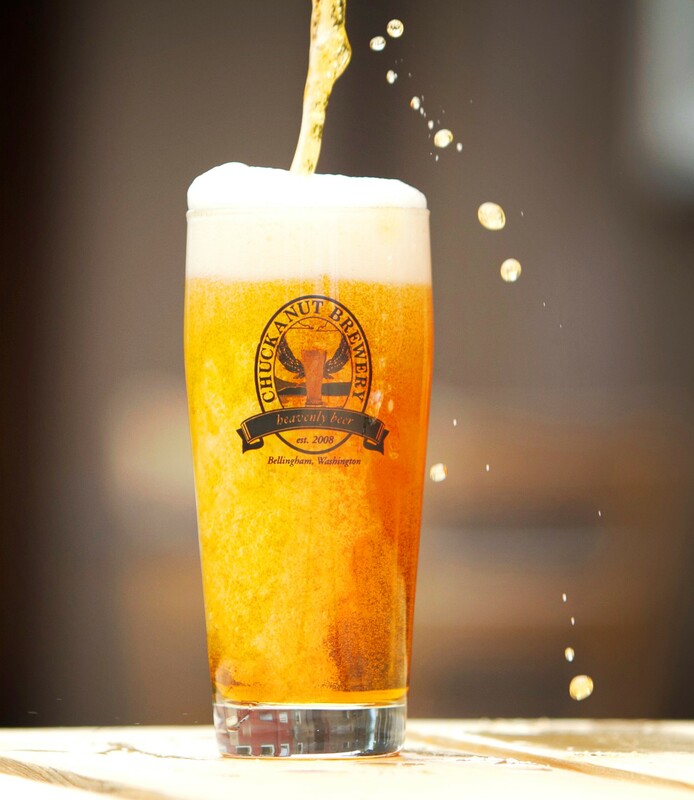 Chuckanut Bock is one of our all time favorite special rich beers that we have made over the years. Not always available but when it is we can't wait to taste it. This year we are bottling our different Bock style beers throughout the fall, winter and spring. 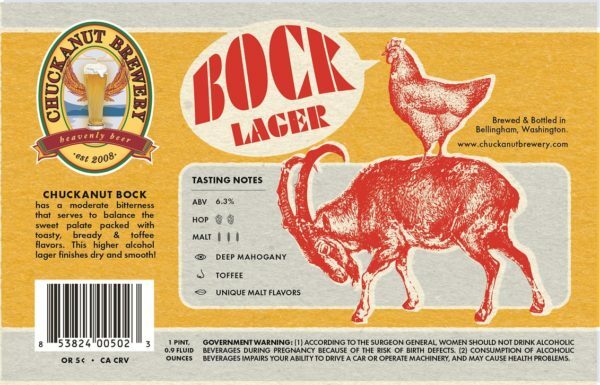 We start with Bock, the dark, very malty and strong lager that is brewed across Germany (the Billy Goat is the symbol for Bock) and northern European countries. With over 6% ABV this beer will age well and taste great even when it's a year old. We've aged it about 3 months in our fermentation tanks, giving a deceptively smooth taste. Packaged in half liter size bottles (first time) you can now get Bock and save it, if you wish, for a special occasion or gift giving. Available at both North & South Nut until it runs out, better get in sooner rather than later as we don't expect this beer to sit on our shelves for long! Also tapped at our breweries and in very selected spots around Puget Sound. Ask for it at your favorite place. 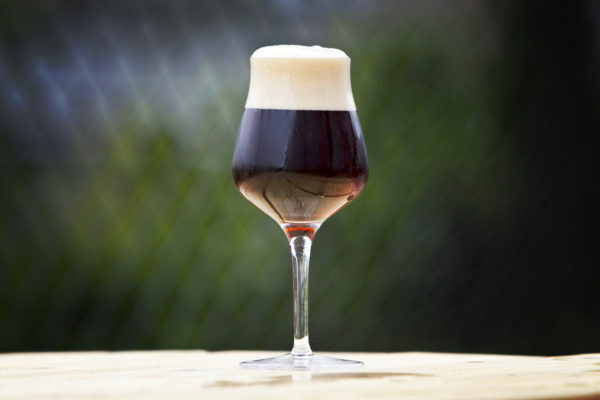 Our friends at Primer Coffee House down the street and connected to Elizabeth Station bottleshop in Bellingham are throwing a Beer Coffee Festival November 4. They asked us to make a beer with Primer coffee for the fest. Seeing as we have our Dunkel Lager for our winter seasonal lager we decided to make a Dunkel with the Ethiopian Gutiti coffee adding another layer of fruit forward slightly sweet coffee notes to our traditional Dunkel. Get it at the station and our North & South Nut sites until it runs out. November 24 Happy Thanksgiving, both sites Closed! Now that the cold weather seems to have arrived (snow already in the predictions), our chef has brought back Chuckanut Posole! This hearty Mexican style pork stew uses hominy, Wild Rose Farm green peppers, tomatillos, cilantro, lime, and finished with fresh sliced radishes. Our Pear & Delicata Squash Pizza uses Martin Family Orchard pears, brwon butter-roasted delicata, roasted walnuts, Ferndale Farmstead fresh mozzarell and shallot sauce. For dessert you've got to try our Chai Brulee, it's amazing. The Phinney Neighborhood beer taste is celebrating its 30th anniversary November 11 and in celebration we have brewed our New World German Ale! This moderate strength Pale Ale is made unique with the use of new varietal German hops. Polaris is added for bittering while late additions of Hallertau Blanc and Hull Melon hops give this ale aromatic notes of white grape, melon and berries. With an IBU of 40 this beer is for those that like a hoppy and somewhat fruity ale. 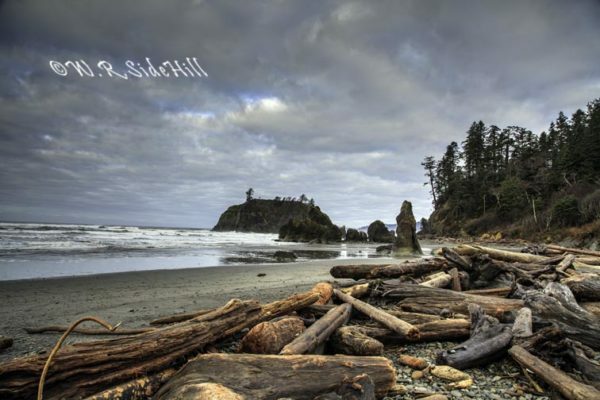 Try it at the festival, North & South Nuts or around Puget Sound. Have your holiday parties at either North or South Nut. Who doesn't like to party where they can get some superior beer and great food. If you want to know more about our party spaces get hold of Spencer (spencer@chuckanutbrewery.com). He can help you put together an awesome party on any kind of budget! It's not too early to start planning, the holidays will be here before you know it.